Airbus will launch fastest supersonic jet within a year which will be capable of flying at a speed of four times the speed of sound. Airbus has won a patent for a supersonic fastest jet of the world according to the U.S. Patent and Trademark Office. 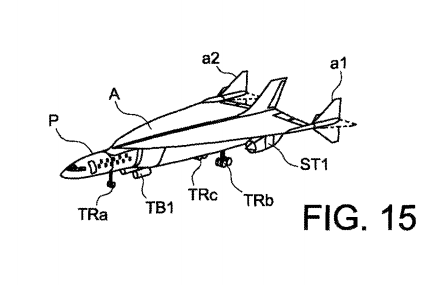 Previously fastest commercial jet of the world is Concorde but this new air vehicle will be twice as fast as Concorde. The Concorde, manufactured by a company now acquired by Airbus, was capable of flying at about 1,300 mph (2,100 km/h), or twice the speed of sound. This new invention by airbus will beat the speed of Concorde with introduction of new turbojets and hydrogen powered systems. This hypersonic jet will require at least one year before final manufacturing of a model aircraft with this much speed. In my personal opinion, successful launch of this aircraft will be a great milestone for mechanical engineers and aerospace engineers of the world. This fastest supersonic jet launched by airbus will enhance efficiency of transportation and will serve as a start of a new chapter in aerospace engineering. According to Airbus officials, this hypersonic jet will be able to serve both civilian and military purposes. In civilian or commercial application, this supersonic craft will be able to accommodate 20 passengers. While for military, this jet can be used to transport military equipment for commandos just like that of SR71 Blackbird. According to Airbus, plane’s aerodynamics are designed in such a way that it will reduce sonic boom when it gains supersonic speed. This was the greatest problem in Concorde. Several complaints about sonic boom and noise pollution created by Concorde were received due to which it was prevented from operating over land.